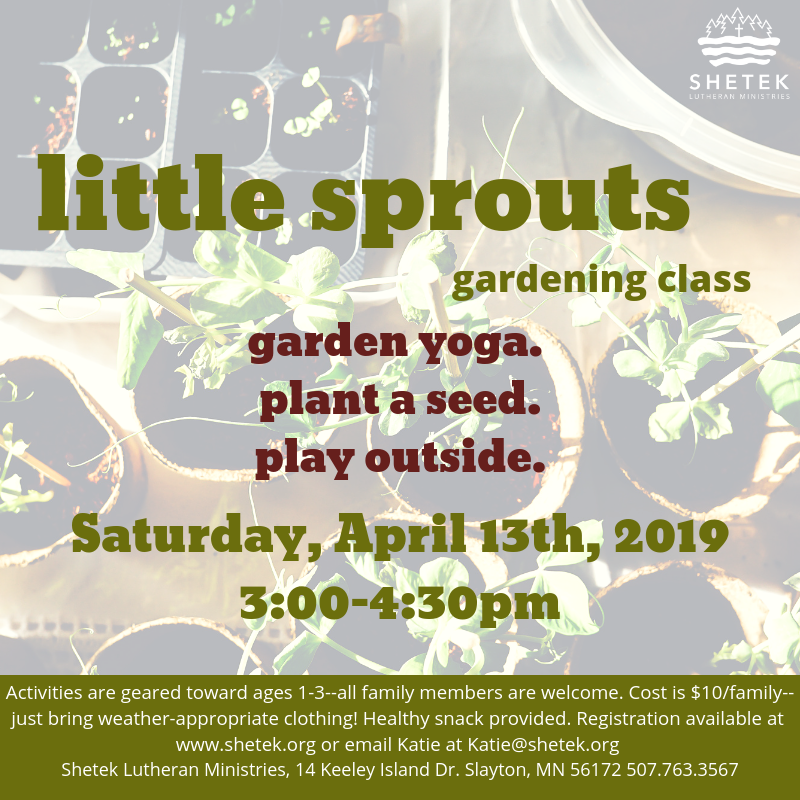 Come out to camp on Saturday, April 13 from 3 – 4:30pm and learn more about gardening and help with camp’s garden. Activities are geared for ages 1-3. Healthy snack is provided. Email Katie to find out more – katie@shetek.org Register online below.